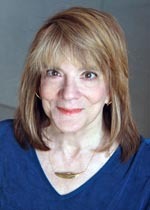 From the beginning, Elizabeth Loftus had no desire to work on abstract problems, preferring instead to tackle real-world ones—and her research revolutionized how we think about memory, and how we apply it to the law. Over more than 30 years, her research has shown us that our memories are chock full of false details, mistaken “facts,” and impossible events. Loftus received her PhD from Stanford, and is now a Distinguished Professor at the University of California, Irvine. She also holds positions in the Departments of Psychology & Social Behavior, Cognitive Sciences, Criminology, and Law & Society, and she is Professor of Law. Before moving to Irvine, she was a Professor of Psychology and Adjunct Professor of Law at the University of Washington, Seattle, where she taught for 29 years. She has published 22 books and over 500 scientific articles. Her 4th book, Eyewitness Testimony, won a National Media Award (Distinguished Contribution) from the American Psychological Foundation. One of her most widely read books, The Myth of Repressed Memory (co-authored with Katherine Ketcham) was published by St. Martin’s Press and has been translated into Dutch, Taiwanese, French, German, Japanese and other foreign languages. She has served the scientific community in many capacities: as the 1984 President of the Western Psychological Association, and again as President during 2004-05, in 1985. President of the American Psychology-Law Society (Division 41 of APA), and in 1988 as the President of Division 3 (Experimental) of the APA. Finally, she was President of the Association for Psychological Science (APS) during 1998-1999. In 2002, the National Academy of Sciences bestowed upon her the inaugural Henry & Bryna David Lectureship (an award for “application of the best social and behavioral sciences research to public policy issues”). The article that she wrote in conjunction with this award was subsequently selected for inclusion in The Best American Science and Nature Writing. In 2003, the same year that she received the APA Distinguished Scientific Award for Applications of Psychology, she was also elected to membership of the American Academy of Arts & Sciences, and the American Academy of Political and Social Sciences. In 2004 she was elected to the National Academy of Sciences. In 2005, she won the Grawemeyer Prize in Psychology (to honor ideas of “great significance and impact”), and with it came a gift of $200,000. Also in 2005 she was elected to the Royal Society of Edinburgh, which is Scotland’s national academy of sciences and letters, established in 1783. Also in 2005, she received the Lauds and Laurels Faculty Achievement Award less than three years after arriving at the University of California, Irvine. The award “recognizes a faculty member who has achieved great professional prominence in their field for their contributions to research, teaching, and public service….a role model and has contributed to the excellence of UCI.” She was the 9th recipient of the award in the history of the University. In 2006, she was elected to the American Philosophical Society, which is the oldest learned society in the United States, Est. 1745 by Benjamin Franklin. In 2009 she received the Distinguished Contributions to Psychology and Law Award from the American Psychology-Law Society. In 2010, she received the Warren Medal from the Society of Experimental Psychologists (for “significant contributions to the understanding of the phenomenology of human memory, especially its fragility and vulnerability to distortion”). One of the most unusual signs of recognition of the impact of Loftus’s research came in a study published by the Review of General Psychology. The study identified the 100 most eminent psychologists of the 20th century, and not surprisingly Freud, Skinner, and Piaget are at the top of that list. Loftus was #58, and the top ranked woman on the list. * The FABBS Foundation would like to thank Dr. Maryanne Garry and Dr. Daniel Schacter for nominating Dr. Loftus for this honor and for leading the effort to spread the word about her nomination. Would you like to honor Dr. Loftus? It isn’t too late to have your name added to the list of donors! You can make your donation to Dr. Loftus’s “In Honor Of…” campaign at anytime.